Premium increases for health insurance just seems to be one of those inevitable things - we all want the improvements in medical procedures and treatments which in turn pushes up the costs. This leads to many querying either the need to continue with such cover or to seek alternative policies. As the playing field changes - NIB (they purchased the health client base of Tower during 2013) - and costs rise is it time to consider what best suits you? Health insurance is a bit like the "hamster on the wheel" - once you're on it's hard to stop. For many people they get locked into their provider as any claims they have are likely to result in a "pre-existing condition" being applied with a new insurer should they seek to change providers. So, choosing your health insurer is a serious decision - longevity of the policy is paramount. Health insurance is often the insurance that is retained the longest. Disability and Life covers are often cancelled at retirement or before if the need has long gone. However it is in these sunset years where a health policy is most likely to be claimed on. In our group scheme of over 800 members we evidence between 5 and 10 claims a week. Claims range from Specialists Consultations through to open heart surgery. So, members certainly do utilize their cover. So, an insurer that will still be operating and has the financial strength to meet claim obligations 50 years from is a priority. 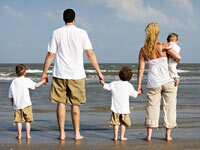 Scope of cover varies from provider to provider and even policies issued by the same provider. For example, many of our members have held their policies since prior to 2001 and are still covered for "Routine Screening". Routine Screening is where your GP sends you for tests simply because you either fall in to higher risk category by age, gender, ethnicity or family history. You might not exhibit any symptoms yourself but it is a precautionary screening. This is recognized as Routine Screening and insurers now exclude this from claims but will reimburse for procedures if there are adverse findings from the Screening. To counter rising premium costs insurers now offer a Claim Excess similar to that on household or car insurance. While this might sound like a straight forward feature to compare. It is important to consider all parts as each insurer manages their Excess differently. For example in the NZDIS Group Scheme the Excess applies only to hospital admissions and surgery. All costs for Specialists and Tests are still covered from the first dollar of expense. This can make a substantial difference to the scope of the policy particularly as Excesses of thousands of dollars are now available. Other insurers apply their Excess to all coverage of the policy and therefore wipe out any reimbursement of costs for Specialists and Tests with a high Excess. Excess Options are now $300, $600, $1,200, $2,000 and $4,000. The premium discount ranges from 22.5% through to 60%. Is there merit in retaining a policy if it carries a $4,000 Excess? This will depend on each individual's situation and policy conditions. Southern Cross released a summary of their top claim procedures and costs by age (10 year bands) and gender. A similar theme runs through the age groups from 40-49, 50-59, 60-69 and +70. Colonoscopy is identified as a Top 5 Claim in each age group and for both genders (except men +70). At a cost ranging from $1,500 - $2,300. Hip Replacement was in all categories except women 40-49 and the cost range was $18,000 - $23,000. Coronary Angioplasty, Knee Replacement, Excision Skin Lesion and Cataract were dominant across the age bands. While our public health system looks after urgent problems, treatment for many illnesses can involve a long uncomfortable wait. So, a high Excess policy, where Specialists & Tests are fully covered, may well provide sufficient coverage at a more affordable cost to maintain in later years. As with any decision, be informed before taking action to cancel and or change insurance policies.